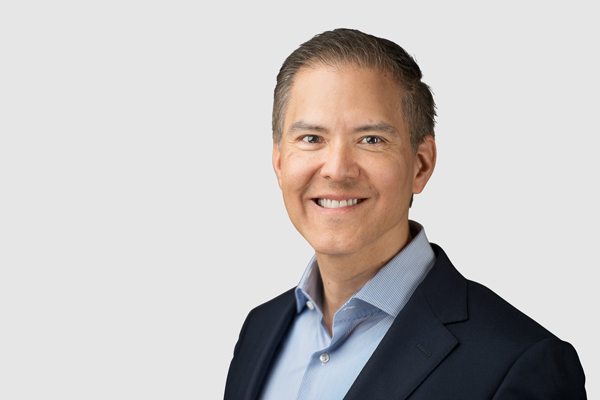 As an executive vice president at Nielsen, with extensive market and commercial knowledge both in Latin America and North America, Luis Arjona brings more than twenty years of experience growing high-performing businesses. Prior to Nielsen, he led eBay Brazil, having led its growth from the ground up. Arjona also brings consulting experience from Bain & Company Brazil, McKinsey, and Booz Allen & Hamilton. In both the United States and Brazil, where Arjona has led several vertical businesses, across a broad variety of industries, focusing on consumer products, retailing, eCommerce, financial services, and private equity. Fluent in English, Portuguese, and Spanish, Arjona considers himself a citizen of the world. His professional journey began at twenty-three when he left his hometown in Mexico’s Yucatan peninsula. After earning an MBA from Stanford University, he has steadily built an international career in management consulting that has taken him all over the world. Currently, he puts that belief system into action at Nielsen’s Buy business. The business provides consumer-packaged-goods manufacturers and retailers with the most comprehensive view of the consumer through information and insights. Companies look to Nielsen, he says, to help navigate the key trends and marketplace dynamics impacting their business. Nielsen’s measurement and analytics are embedded in the operating disciplines of companies all around the world, helping them to make smarter, quicker business decisions that drive results. Throughout his career, Arjona admits that having a humble spirit and hungry attitude towards finding solutions to business challenges has served him well. He believes that a great deal of humility and respect for local customs and cultures has helped him adapt to the many places he has lived and worked. He remembers being humbled by his experience in São Paulo, Brazil, where he saw an extraordinarily multicultural society that was limited in material wealth and in quality of services compared to the United States. In contrast, he also remembers being humbled in Dallas, where he encountered a hunting culture that was very new to him. While he never participated, he was able to respect and appreciate others’ rich passion for this sport. According to Arjona, being nimble is the best way to serve his clients. In fact, Arjona believes that in order to succeed, the next generation of leaders must be agile. Of course, Arjona says the virtues of agility can and should be applied on a company level as well. For companies, data enable agility. It allows them to make the right decisions quickly and to execute expeditiously. The right data available at the right time is a competitive advantage. He also says that clearly defining roles and objectives and providing appropriate processes and tools are key. To illustrate, he highlights Nielsen’s consolidation and creation of three global super hubs. With this move, it’s possible for a team in the United States to initiate a solution and hand it off to an Asia-based team for further development overnight, which then passes it on to a European team to finalize the solution for client deliver within twenty-four hours. Arjona doesn’t consider himself to be an adventurous person, but he doesn’t think twice about going outside his comfort zone to help clients address challenges in intense, high-pressure situations. One of his greatest successes before coming to Nielsen was creating a retail banking operation from scratch in El Salvador without personally having deep banking industry experience in that region. However, when he moved to his next assignment, the project resulted in more than fifty branches across the country that accounted for 25 percent of the bank’s business. “I define the risks, provide my teams with a clear mission, and empower them with the right tools to succeed,” he says. Since Arjona leads by example and believes his passion for helping clients is contagious, his teams have also adopted this mentality to help them overcome challenges.